The upper trim levels of the upcoming long-range Nissan Leaf Plus will deliver about 11 miles less range than the 226 miles previously announced for the base model. The Leaf Plus SL and SV trims, will deliver a manufacturer-estimated 215 miles of range, a Nissan North America spokesman told TheGreenCarGuy. The upper trims have larger 17-inch alloy wheels and tires and a bit more equipment than the base S trim. That means they weigh more and, with the larger tires, likely have more rolling resistance to overcome than does the standard Leaf. And weight and rolling resistance are enemies of range in an EV. The Nissan Leaf Plus SL reportedly weighs about 30 pounds more than the S’s 3,780 pounds, while the Plus SV weighs in at 73 pounds more. Because the range stays the same for both upper trim levels, it is likely that the tires are the main reason for the decrease. Did you know that LEAF is actually an acronym? 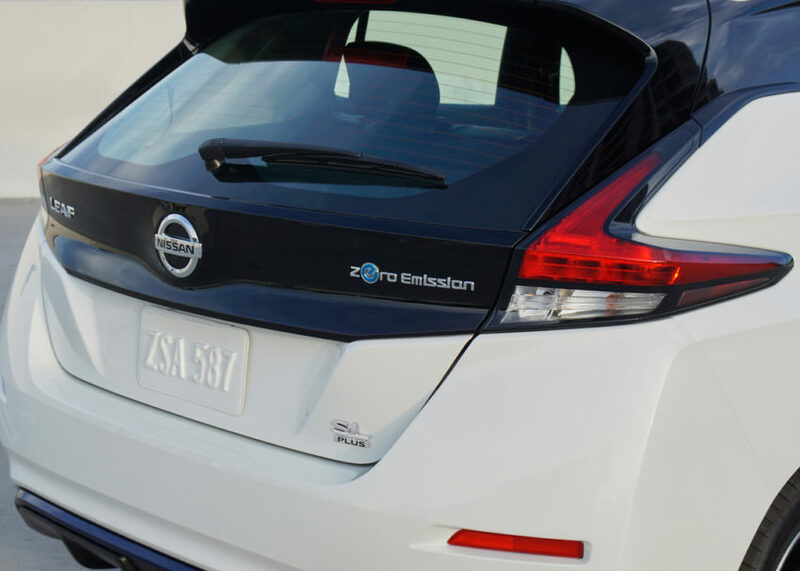 It stands for “Leading, Environmentally-friendly, Affordable Family car.” And that’s why we just call it the Leaf. 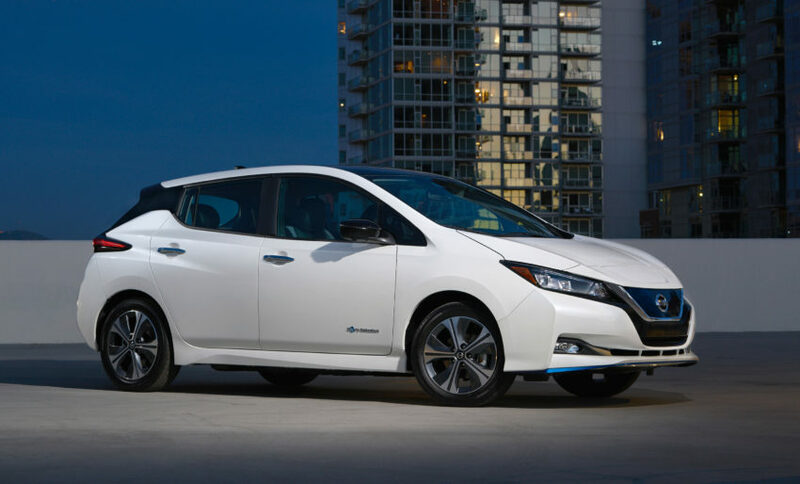 Nissan hasn’t yet provided trim level specifications or pricing for the Leaf Plus – which is due to hit dealerships as a 2019 model this spring. The 2019 models of the standard, 150-mile Leaf, have been on sale in the U.S. for several months. Official range estimates for the Leaf Plus have not yet been issued by the EPA. But Nissan’s numbers are likely to be an exact match. That’s because Nissan, like all automakers, has access to the EPA testing protocol. It runs range and fuel efficiency tests using EPA measuring standards before issuing its own estimates.